Pâte fermentée is the practice of reserving a piece of white flour dough after mixing, to incorporate into the next batch of bread. Meaning ‘old dough’ in French, this practice exists where artisan bread is usually made. 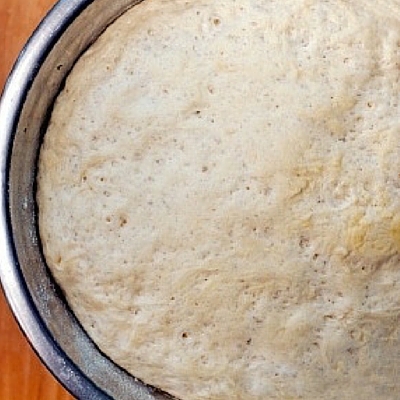 This traditional practice provides additional benefits of flavor from yeast/bacterial strains from the old dough, and is economically preferable to throwing the dough away. Unlike Biga and Poolish, Pâte fermentée can contain other ingredients like sugar, salt, oil and sourdough. This method is from France. Use the Pâte fermentée when it is ‘ripe’ at about 6 hours, or when the dough has domed, or receded in the center.